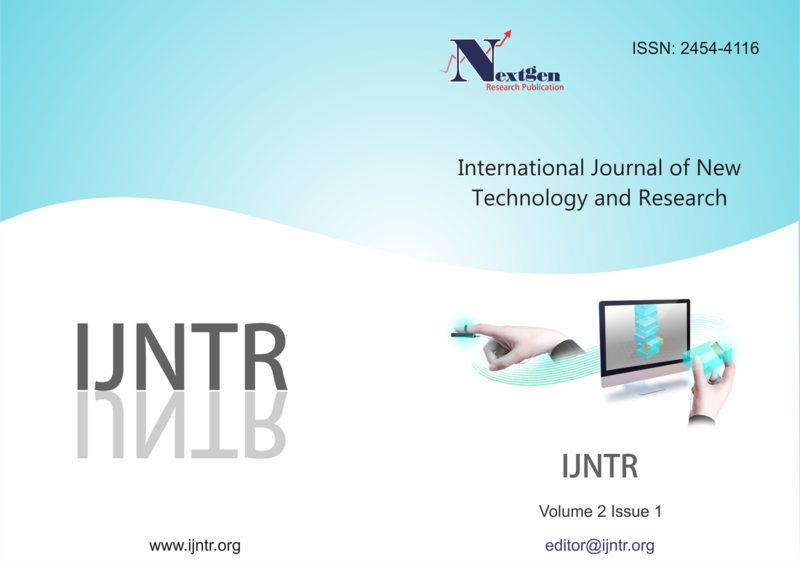 IJNTR " International Journal of New Technology and Research" is an international peer reviewed, online journal Published monthly by Nextgen Research Publication. Nextgen Research Publications is a privately owned publishing company dedicated to the global dissemination of information.We strongly believe that the open access model will spur research across the world especially in developing nations, as researchers gain unrestricted access to high quality research articles. Our journal aims to bring out the research talent and the works done by scientists, academia, engineers, practitioners, scholars, post graduate students of Engineering and Science. We Publish Multidisciplinary researches and articles of Science, Technology, Engineering, Management, Life Sciences, Education, Mathematics, Marketing, Human Resource.